Mexican food and tequila bar in Rolla, Missouri. Outstanding service and food made fresh when you order. At Los Arcos Mexican food and tequila bar we can handle any group at any time. We serve lunch, dinner and drinks and we also take reservations, provide carry out and should be considered for your next time out dining. 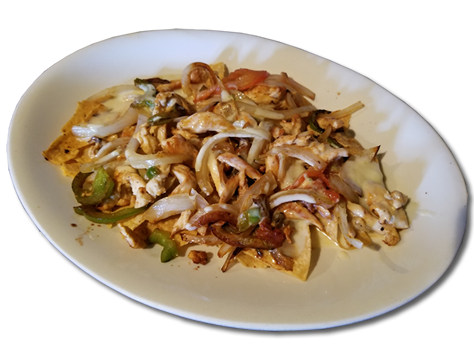 Affordable food with margaritas that taste great anytime you know you’re dining on the finest ingredients at Los Arcos. Don’t forget to order the guacamole made fresh when ordered or a queso. Save on appetizers with your group! Our chicken wings are known throughout the area and add some cool ranch dressing and a margarita for a wonderful break in your day. Friends, food and fun await you at Los Arcos. A large group of ours from Church stopped after a Float trip and not only did they get a room set up for us in about 5 minutes the service and food were great! Will definitely go back if in the area. Great value, atmosphere, and service. You can't go wrong! The place for the best Mexican food in Rolla. Their tacos can't be beat, their rice is awesome, great selection of drinks, and fantastic service. This place rocks. My favorite dish is the Pollo Chipotle and add some fresh jalepenos. SO GOOD. They have the best guacamole fresh, best shrimp tacos. Yummy salsa and the carnitas and onions Jalisco burrito was awesome! Very reasonable prices and attentive staff. Great place! Quick service, great food at really good prices. 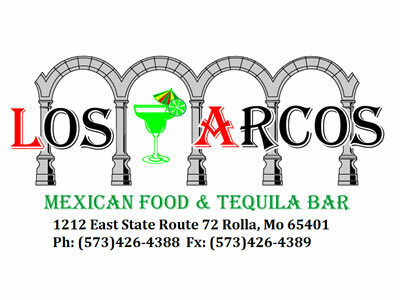 Jose and the crew are top notch and great to be around.....i HIGHLY recommend Los Arcos in Rolla.